At Paul Bellinger photography we take printing seriously, because it’s the only medium that is guaranteed to preserve your memories for generations. A hard drive, or CD is not a family heirloom. Digital is dangerous. Drives fail, technology becomes obsolete, but prints are timeless. That’s why we’re excited to be introducing some new print products this fall! Featured here is a luxurious wooden folio box that is handmade in Billings Montana. 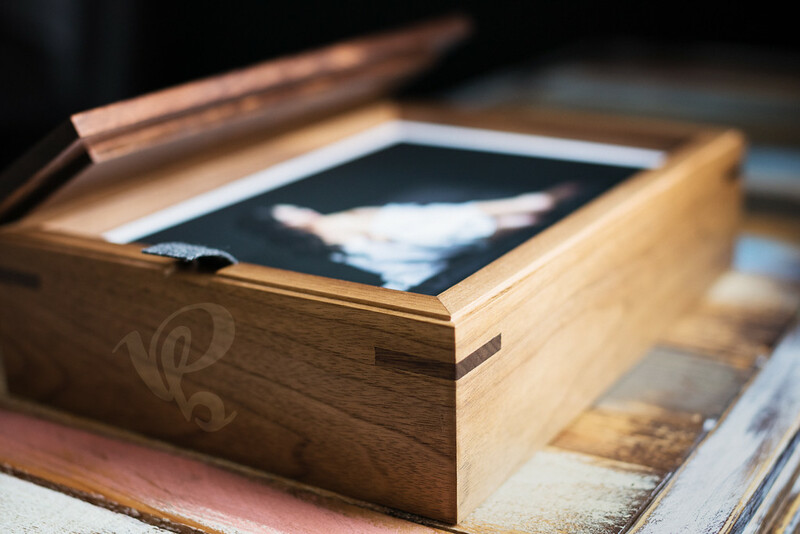 There are currently only two of these boxes in existence, and future boxes will be custom designed for each client so that you will have a truly unique family heirloom. Inside the folio box is another new product, locally made and mounted fine art prints. Featured here are 8x12 inch fine art prints with an additional half inch white border, mounted on rigid foam core. The fine art print is glare free and has a texture that you will absolutely love to hold in your hand. These types of prints are great for bridal, glamour and boudoir portraits. MONTANA WEDDING PHOTOGRAPHER – INSTAGRAM ALERT!